Dallas, TX USA – September 2018 – LAI Games will display its award-winning Virtual Rabbids: The Big Ride at next week’s Euro Attractions Show in Amsterdam. 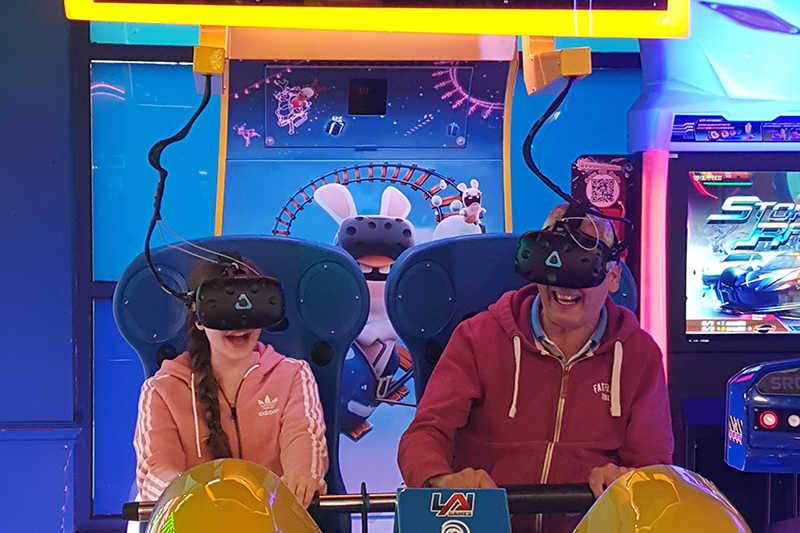 The foremost family friendly VR attraction across the UK & Europe, The Big Ride is the industry’s first attendant-free VR ride that operates and is serviced like any other coin-op amusement game, making high-quality VR accessible to entertainment and leisure venues of all sizes. You are invited to try Virtual Rabbids: The Big Ride and more for yourself at the Euro Attractions Show Hall 3, Stand #5-322.